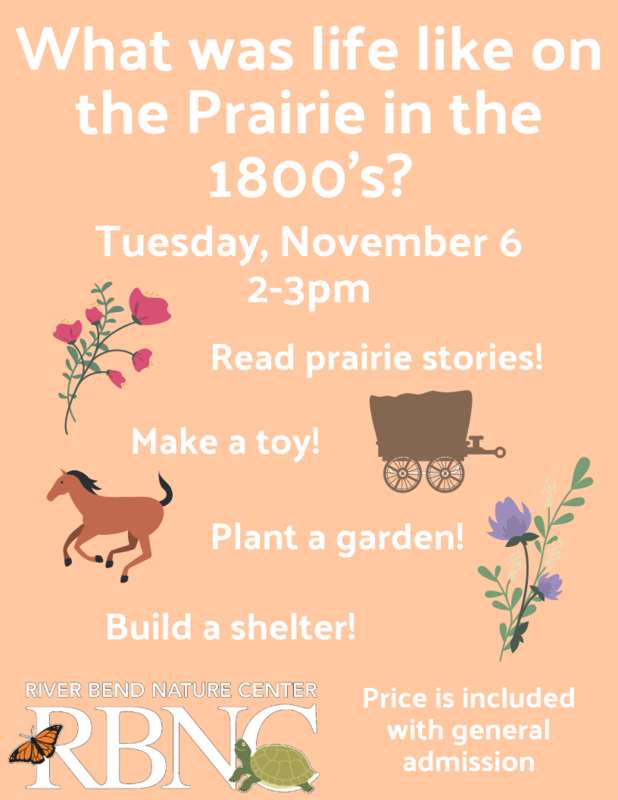 Join us on Tuesday, November 6, from 2-3pm for our Prairie program! What was life like on the Prairie in the 1800’s? Read prairie stories, plant a garden, make a toy, and build a shelter! This program will be held indoors and outdoors. All materials will be provided, and the cost is included with general admission and is free for RBNC members. General admission: $5, Seniors and Military: $4, and Children 1 and Under are free.